Kriega created the perfect tool roll for on the road. Constructed out of 1000D Dupont Cordura, this is one hard wearing tool roll built for purpose. It is an ideal size to carry plenty of tools you might need for minor repairs on your travels without getting too bulky. 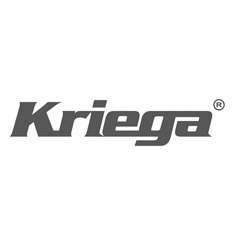 Kriega are so confident in the products they build that they offer a 10 year warranty. Rightfully so, because in all our years of selling their range, we've never had a single return.